Web design experts in the Hilton Head and Bluffton area. We build websites from scratch or can re-design an existing or outdated site. Weather you are just starting out, have been in business, or need a website for an event, we can help. There is no “magic” when it comes to ranking high in search results. Specific, honest, and quality content is the only way to be found on search engine pages and to continually stay on top. Is your website bloated with extra code? Are your page titles, meta-tags, and search terms correct? We make sure your site is taking advantage of Key Words, Content, and Load Times. 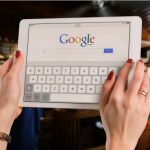 One of the most important and most commonly overlooked items for a local business is the Google Business Listing. We set up, optimize, and monitor your listing including your business profile, relevant and up-to-date pictures and banner art. There’s no shortage of places to be found on the internet, CMS can help your business take advantage of all of them. We will claim and set up listings on sites such as Yelp, Squarespace, Yellowpages, Manta, Yahoo Local, Bing for Business, Whitepages, Local.com, etc. We develop business listings that are robust, engaging, and tailored to your business. If you are not being found during internet searches, who is? Understanding who your online competition is will help you to stand out from the crowd when someone is searching for your industry, business or offerings. Reverse engineering of competitors search results, both local and organic can boost your rankings. Keyword research is the process of determining which words, phrases, and terms people are using to find your website, services, or products. Keyword Development also includes determining which keywords are lacking from your online footprint and which words will increase traffic. Google Maps and other top-tier directories have the ability to drastically increase customer traffic – more so than just a website alone. 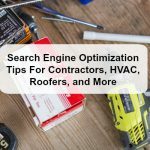 Maximizing key words, listings, and content for a specific area or geographic region enhances your ability to be found during specific local search results. To excel at online marketing and drive traffic to your website, CMS will help you create content that is consistent, relevant, and tailored tour your service or industry. We will work with you to develop “your story” and increase visibility for organic search results. 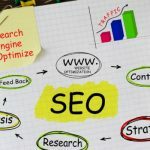 An SEO audit will review, analyze, and measure your website for search results, key words, site health, red flags, security, rankings, search positions, and Google / Bing search penalties. Search engines such as Google and Bing need to know that you have a website. This is one of the first places to start to be sure you are found by potential customers. We send each of your pages to the search engines for them to crawl and index. What you post says a lot about your business. Do your social media accounts send the wrong messages? Are you active on social media? We will create and manage business account across several platforms such as Facebook, Google+, and Twitter. Where is your website traffic coming from? How long do people spend on your website, what is your most popular page? We track and study all of this and more, right down to demographics and actual device used. This is insightful information to assist in managing your website. Take full advantage of the standard WordPress features as well as using important plug-ins to maximize your WordPress-developed website. Increase visibility with custom widgets, header and footer tags, and more. We are local. Serving the Hilton Head, Bluffton, Beaufort, and Savannah markets…..and beyond! If you want to earn more business online, you’re at the right place. Whether you need a complete website redesign or just looking to increase traffic, we can help.